The night before I had told my wife that I was worried enough now to go to the ER. At the time, I had no medical insurance, so an emergency room visit was my only shot at decent care. We headed straight there after the kids were off to school that morning. Within an hour I was having the ultrasound done. While the ultrasound was being performed, my sense of fear grew. The technician was silent, stone faced, and taking snapshots of every angle she could. Once that was done I waited in my little room of the ER for what seemed like an eternity. In reality it was only 20 minute or so. That's when they came in to take me for a CT scan of my abdomen and chest. This was when the fear really set in. The waiting was the hardest. My wife had to leave to pick the kids up from school, and I was there alone. Scared, hurting, and in fear for my life. An hour later, I would be delivered the news that changed my life forever. I had cancer. Stage III. It wasn't just in my testicle, but my lymph nodes, my abdomen, and my chest. From the moment the words came falling upon my ears, the fight began. There it was. No turning away from it. The worst of my fears had come true. What would follow was an orchiectomy, four cycles of BEP chemotherapy, complications with infections and blood clots, and a few months of never knowing how things were going. There was also extreme fear, confusion, depression, and the fact that for the first time in my life, I was staring my mortality directly in the face. I was lucky. The chemo did exactly as it should. No radiation, no extra surgeries. Someone was in my corner. Someone was looking out for me. Live. Fight. Win. That was the motto for my cancer fight. Giving in and giving up hope was not an option. I have a wife and two beautiful children. I had to live. I just had to. The fight was one that took extreme boldness. I was weak spirited but strong hearted. And I had a world of people in my corner. Family, friends, and complete internet strangers. Winning was not something I thought would just come easily. At times, I wasn't sure I was winning at all. 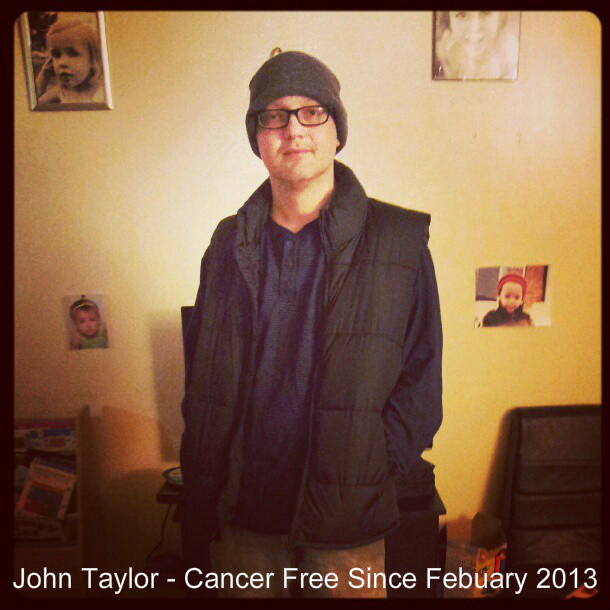 It wasn't until the following February when my oncologist gave me the all clear that I felt like a winner. That was my mission. To live, to fight, and to win against this beast. That is my mission now as I seek to help raise awareness about testicular cancer, and seek to help out in the lives of those who are affected by this disease. Had I known more of the warning signs, then I might have caught it earlier. If I had laid down my pride, I might have caught it earlier. But now, it's a little too late for that. My goal is to help others help themselves before it's too late. While testicular cancer is a highly curable disease, it is still one that goes too often unnoticed. And in some cases, with heartbreaking endings. But it doesn't have to be that way. We dream of a day where everyone is educated and nobody has to suffer that loss. I know the fear that comes with this disease. I know the uncertainty. I know more about it now than I ever cared to know, or dreamed I would need to. Now, I aim to share this knowledge and my experience with others. When one of us fights, we all fight. It's our passion and our desire to make sure nobody faces it alone. Live. Fight. Win. That's the mission. That's the battle cry. That's the promise that we will never give up the fight for awareness and the fight for our fellow men who are faced with this disease.